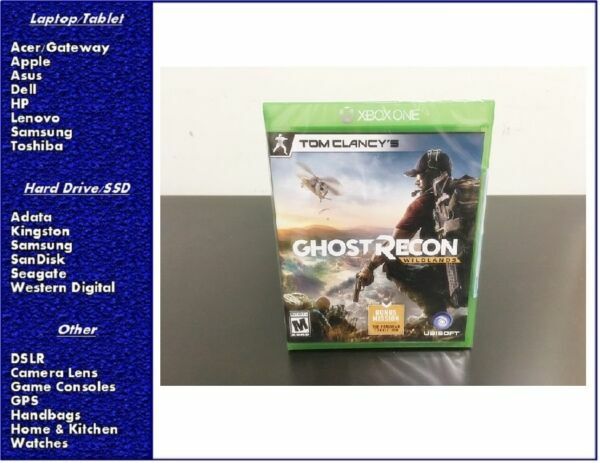 eBay PRODUCT DESCRIPTION NEW & Factory sealedPlay with total freedom of choice in a massive open world.Design your attack plan and tackle missions the way you want.Brave the elements as weather and terrain impact your gameplay.Take down the Santa Blanca cartel and save Bolivia from ruin.Experience intense 4v4 tactical matches in Ghost War mode.Item will be packed in shipping box.CUSTOMER SUPPORTIf you have any questions, please contact us via eBay message system. We will reply within 1 business day. Weekend (Sat and Sun) and USPS holidays are not a business day.Our #1 priority is your satisfaction. If you have any issue with your order or product, please contact us before open an eBay case. We always solve the issue on your side.SHIPPING AND HANDLINGFast and Free Shipping. All items will be packed with Care.Orders will be shipped within 1 business day (Mon - Fri). Weekend (Sat and Sun) and USPS holidays are not a business day. If you place an order on Friday, it will be shipped out on Monday. eBay seller protection does not allow us to change your shipping address. Please change your shipping address before place an order. If you need signature confirmation, please contact us. There is a $5 fee for adding signature confirmation. We offer a free signature confirmation service for goods which costs over $750 (domestic only).RETURNSOnce you break the seal, there is a 10% restocking fee for non-defective items.No restocking fee for defective items.All items (e.g. manuals, software, cables, and the original retail packaging) with the original condition (no physical damage) must be returned. Otherwise, your return request will be declined or we may charge up to 30% restocking fee. Please contact us before you return the item.Damaged claims after 24 hours from date of delivery will not be accepted.The product serial number must match the serial number in our database.Please return the item in shipping box.Please do not apply shipping labels or tape directly on the manufacturers packaging.Once we receive your item back, we will issue a refund within 1-3 business days.